As pictured. Beautiful color and print. Loved how the color darkened at the bottom. Perfect fit, light and cool fabric. I couldn't have been happier. Service and shipping outstanding. I wore this to my son's wedding..there was no a/c, 90+ degrees with 83% humidity I think I was the only one who wasn't hot. Wow!!! BEST EVER!!! Looks fabulous. Fabric and style will certainly bring rave comments. 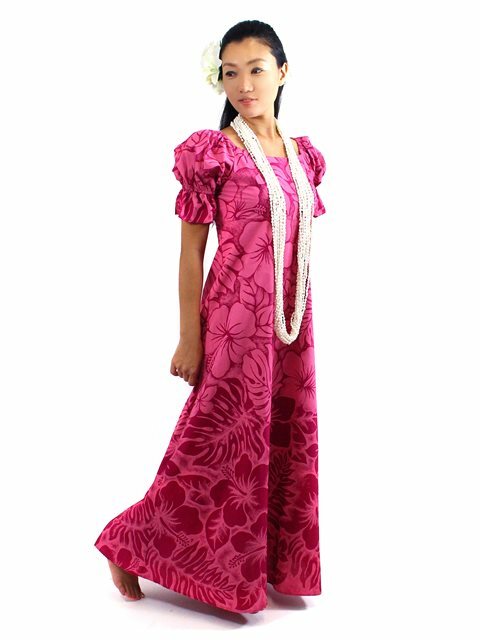 I will wear it to a formal ball- Aloha Spirit in January.